Alright now, read the fine print. Do you see it? There's a line-item that says one of the Main Prize choices is a Supermicro SuperServer. Guess which one that is likely to be? Well, if you read this article about what Veeam's The RICKATRON has to say about home labs, you'll get the hint that it could very well be the TinkerTry'd Supermicro SuperServer Bundle 2. Yep, the very same SYS-5028D-TN4T mini-tower octacore Xeon powerhouse that is so well suited for a home labs. Admittedly, I don't yet have confirmation that's exactly the model Veeam is offering. I use mine not just for tinkering, but for working too. Heck, you could buy 5 of these 5028D-TN4Ts with that kind of coin, but I'm not sure how the contest works, as far as what the grand prize winner picks, read those Terms and Conditions for yourself. Whatevs. Shouldn't you just register now, just in case it really is the SuperServer that is Super Ready for ESXi 6.0? 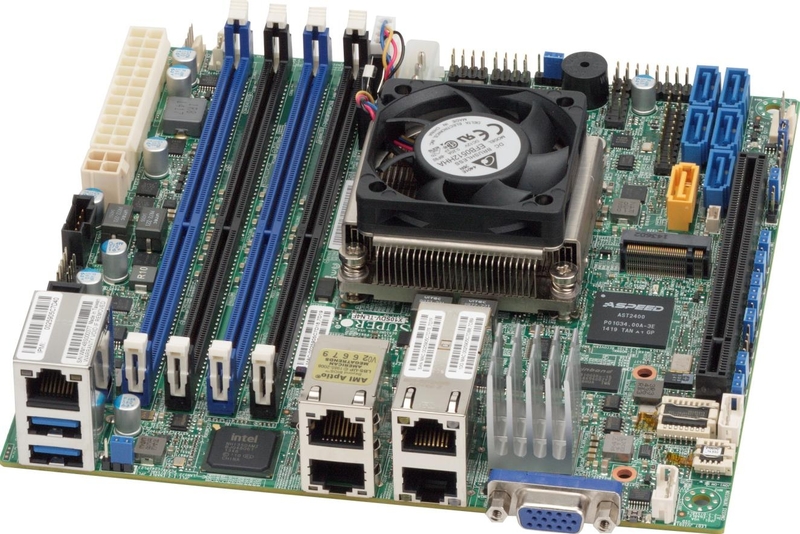 Photo courtesy of Supermicro showing the X10SDV-TLN4F motherboard that's used in this system. Capable of holding 128GB of DDR RAM, yet still runs between 40 watts at idle and 90 watts under load.